"Fighting for the right not to learn te reo"
“We discovered the children were spoken to in Marry… we’re not of Marry culture” says Hayley Foster. In an interview with Campbell Live Hayley Foster and her husband Phill Foster objected to their daughter learning Maori. Why? Well, from what the interview revealed the Foster’s opposition to te reo wasn’t practical, it was ideological. Phill Foster likened Maori language learning to “communism”. Yeah, because teaching te reo has so much in common with collective ownership of the means of production (yes, that was sarcasm). Hayley Foster spoke about “choice”. Well, having a choice is fair enough, but common sense, cultural understanding and the interests of the child should inform the Foster’s “choice”. There is a wealth of evidence to support the proposition that second language learning supports cognitive development. Why, any sensible person should ask, would you oppose teaching methods that aid brain development? When the Fosters restrict their daughter to one language, the opportunity cost is significant. Learning te reo would have helped their daughters development, refusing such an opportunity may put the parents mind at ease, but it restricts their daughters learning prospects. Hayley also asked “why should it be forced upon them, it’s not fair” as if learning a few Maori words, phrases and songs is some sort of cultural imposition. Hayley appears blind to the fact that the New Zealand education system is modelled on western values, traditions and approaches to learning. The curriculum itself - leaving aside the other aspects of the education system - remains euro-centric in content and outlook. Although students may learn Maori words, phrases and songs, those students will never be taught nor told to learn or think from a Maori perspective. In my opinion, the Foster's complaints were pathetic. Where is the harm in learning te reo? There is no harm. There is an opportunity cost, there always is, but the cost is minimal when compared against the benefits of learning some te reo. Maori culture is a part of this country. It's not a foreign culture and the Fosters would do well to realise that. Their attitude, which is widely held, is retrograde and if they're so unhappy with Maori culture then there are plenty of flights leaving for Australia. This week is Te Reo Maori week. We know because the NZ Herald is calling itself "Te Herora o Aotearoa." Excellent, great way to go Te Herora. Now how about a regular page written totally in Te Reo? Maybe monthly, maybe fortnightly, maybe weekly, maybe daily. then people like myself who can read, write and speak the language, could do what English language speakers take for granted on a daily basis by being able to read the news in that other official language of New Zealand. I have a dream that one day I can walk into any bank, service station, Pak'n'Sav, Post Office, chemist or store and conduct my transactions in Te Reo Maori if I should choose. I also want non-Maori New Zealanders to be able to do the same. Weren't Maori guaranteed all the rights of British subjects in the Treaty? Would that mean the right to read, write and conduct business in our own language, just like Pakeha can? In order for Te Reo Maori to flourish, we need the critical mass of New Zealanders to speak Maori to some extent. Maori can't do it on our own. We have to stop treating Te Reo as a tapu thing and allow it to become common. All those fuddy duddies who lament the modern shortening of the vowels, the poor grammar, the eskewed pronunciation - get over it - unless you really do prefer a dead language. In which case our marae may as well become Community Halls where English is the language of the masses. I know what the rednecks, bigots and dickheads will say - it's a waste of time, blah, blah, blah. But who cares what rednecks, bigots and dickheads think? If more New Zealanders spoke Te Reo Maori, the world wouldn't end, the sun would still rise in the east, the sky wouldn't fall in and maybe, just maybe, we'd move a little bit closer to becoming a more culturally cohesive nation. Fifty years go the Welsh language was in the same state Te Reo Maori is now, but through the efforts of a few, a bit of legislation here and there, Welsh is a thriving language heard and seen in the streets, shops and pubs of Wales as naturally as English. Maori can't rely on our traditional contexts (marae and home) for language transfer anymore. Many are pretty much buggered, so we need to create non-traditional contexts, that to many will feel pretty forced and unnatural, but without it the language will struggle. Amongst other things we need to set up Maori speaking happy hours at pubs, Maori writing clubs, Maori immersion trivial pursuit evenings, Maori immersion sports teams, support businesses that have Maori speaking staff, write Maori letters to the editor in newspapers - oh yeah, and have Maori writing for newspapers - so that people like myself can read, react and respond to Te Herora o Aotearoa in Te Reo o nga Rangatira. There may be a clash of laws. I have no problem at all with saying a law which respect the wishes of the individual deceased and then the person that individual chose to marry should trump a customary law which robs the deceased and their chosen family of their rights to decide place of burial. Of course in a cross-cultural situation, individuals should try and compromise to agree on something palatable to all – but if agreement is not achieved, then the law should be followed and there should be penalties for body stealing. There is a clash of laws. In New Zealand, and elsewhere, the common law position is that the executrix of the will (Miss Clarke) will prevail. Under Maori law, a majority opinion in the whanau will prevail. The wishes of the deceased and the deceased’ partner are, in most cases, subordinate to the wishes of the wider whanau. The question then is, what law should prevail? In this particular case, I am comfortable with the common law position (or the western position) prevailing. Why? Well, because the deceased made it clear he wanted to lay in Otautahi (Christchurch) as did his children. However, in a situation where there is no explicit wish and the deceased is Maori, I think Maori law must prevail. These situations are rare and should be decided on a case by case basis. The Takamore case is an unfortunate one. It has been characterised by bad faith on the part of Mr Takamore's extended whanau and staggering cultural ignorance from his immediate whanau. Going back to what law should prevail, it is arrogant to suggest that a law you approve of should trump a, quote, “customary law”. As if a customary law is some sort of lesser law. Why should the western position prevail where the deceased is Maori? I doubt most New Zealanders appreciate the depth of feeling Maori attach to burial. Approaching this situation from a Maori perspective, the Takamore case was not a body snatching case. It was an example of legitimate Maori practise and, I should add, a mana-enhancing practise. People without an understanding of Maori culture see this as a body snatching case. If they cannot widen their perspective beyond the scope of what their own cultural practises and values are then that is their problem. But it’s wrong to say 'my' values and notions of what are right and wrong should prevail. That is cultural imperialism, and that’s a practise this country has seen enough of. For once, maybe just for once, New Zealanders should give appropriate respect to Maori law. In the end it is too late to exhume Mr Takamore. Doing so is just retributive. Restorative justice should occur and that should be the end of the matter. Ultimately, as Tuhoe and as a Maori, Mr Takamore should rest with his tupuna in his ancestral homeland. With discussion centring around the Iwi Leaders Group versus the Maori Council, many commentators have lost sight of FOMA, the Fedaration of Maori Authorities. Although comparisons between the ILG and the MC are valid, any comparison must include FOMA. To make things clearer, let me try and explain the ILG through analogy. The ILG is similar in form to the Cabinet. There is the Cabinet proper, or the ILG proper, this is where the decisions take place. The Cabinet is then divided into Cabinet Committees that provide detailed consideration and discussion of issues. The Climate Change Iwi Leaders Group is similar to a Cabinet Committee. This is where the ILG do their heavy lifting. The ILG also undertake lobbying and government relations work through, as one example, the Land and Water Forum and through, most significantly, the Maori Party. Mark Solomon revealed in an interview with RNZ last year that he was given access to lobby the Prime Minister over asset sales. So, in other words, one of their functions has been usurped by the ILG. FOMA, I believe, find themselves in a similar situation to the MC. The ILG is usurping their functions. FOMA represent the commercial interests of Maori authorities (among other things it should be added). However, the ILG is increasingly coming to represent Maori commercial interests. They are the lobby and consultation group of choice for the government. If there is a commercial issue that affects Maori or the government wants to involve Maori in, the ILG will be approached. FOMA are not given a look in. The government prefers, naturally of course, to deal with an ideologically sympathetic group. The ILG are often accused of representing the commercial interests of iwi and Maori and they’re often labelled the brown face of neoliberalism. That label is a little overblown, although the ILG have voiced support for asset sales and PPPs in the past. The most important question for Maori is: does the rise of the ILG benefit us? I have my doubts. The ILG is not representative of Maori. It cannot be said that most Maori share the ILGs economic ideology. Nor is the ILG elected. Can we really call them ‘representatives’ of Maori? And who represents urban Maori? On the other hand, the ILG provide an opportunity for Maori to leverage the government in a way we haven’t had the ability to in the past. The ILG have economic and political leverage. FOMA represents Maori economic interests, but they don’t control those economic interests in the way the ILG do. When discussing the rise of the ILG, we cannot lose sight of the Maori Party’s role too. One of the Maori Party’s goals has been to empower a political establishment that can engage and persuade the government of the day. With the ILG, they’ve achieved that. The ILG have are also positioning themselves to aquire strategic assets. Shares in electricity generators, an inland port at Ruakura, Tainui wants to muscle in on Auckland Airport, negotiating for rights to airspace – the list goes on. Keep in mind that Maori already control huge tracts of forestry land, some important national resources such as geothermal steam, lake beds and some of NZ’s most profitable tourism ventures. This sort of power, coupled with the personal networks the ILG have fostered, give the ILG institutionalised access. Having control, or a degree of control, over strategic assets plays into the ILG’s end game – they want power for Maori and they want to exercise that power. Whether or not these powerplays are a good thing is a moot point. I’m comfortable with the ILG for now. After all, they brought the AFFCO lock out to an end and they do, at the end of the day, have Maori interests at heart. The question, I guess, is will it last? An indigenous perspective has much to offer Aotearoa as we search our nation’s soul for a better way. As Tangata Whenua of Aotearoa, my tūpuna already had a longstanding connection to this land many centuries before the European colonials arrived to our shores. We went from being the dominant peoples of this land with our own distinct living systems – to a minority collective of people living under infrastructures which oppressed and removed our own. This process of historical and ongoing colonisation, alongside our ancestor connections, is part of what makes us the indigenous people of Aotearoa. So I celebrated our State’s eventual endorsement in that bittersweet ‘better late than never’ sort of a fashion. My main mihi at the time was for the many natives who had literally given their blood to this affirmation of indigenous rights. There had been much ado over almost every single word in this document – indeed the saga of the letter ‘s’ being placed at the end of the word ’People’ in the Declaration title is worthy of a documentary in itself. Given NZ’s initial and staunch opposition to the Declaration and a general history of Crown refusal to honour Tangata Whenua sovereignty – I always knew it would be up to us to give this landmark moment any enduring teeth. What I think is useful for Aotearoa is to truly investigate the indigenous worldview that such a Declaration aims to protect, as an essential part of our community fabric going forward. Recent political polling suggests that there are enough people questioning the current political, social and economic approaches being adopted for our nation. I think now is a good time for us to bury ourselves in some fundamental discussions around what a better nation would look like and how indigenous self-determination can play a vital part in that. As the current world market free-trade capitalist approach is being called into question, we are starting to look seriously at alternatives. Um – over here! While it is true that Iwi and Hapū ourselves need to un-learn and re-learn some stuff, there is still enough to start working on with some viable options for honest collective health. For a start our reliance on global financing could lead us up the creek as is happening to other economies. As a little country tucked away in the Pacific, we could look strongly at protecting our unique environmental riches as a fundamental part of economic sustainability. Never mind Tino Rangatiratanga for Iwi – how about we understand that our government is slowly relinquishing its own authority to overseas imperialist economic powers! In the above article the definition of ‘protection’ and ‘development’ of resources is diverse among Hapū. But I believe we have a unique responsibility to ensuring our long line of indigenous mokopuna get to play and fish in clean seas and beaches, hunt/eat and heal from bushy forests, breathe in fresh air, drink clean water and marvel at the unspoiled beauty of all of that. But here’s the thing – everyone else’s descendents will reap that protected environment too. On the “sustainable living” push. Yes we also have to do the hard yards to minimise our current absurd energy use and seek alternatives to illogical fossil fuel exploitation. Again I see the Declaration supporting all opportunities for us to turn our habits towards the wisdom of our tūpuna. There was a time when we could do it - live sustainably. There are a number of articles that emphasise the retention, development and evolution of our world views and knowledge to get us back towards that place of existence. Of course the UN Declaration on the Rights of Indigenous Peoples must be campaigned for alongside He Whakaputanga 1835 Declaration of Independence, the Treaty of Waitangi and the current route for NZ’s Constitutional Transformation. The Declaration also stands as part of a whole host of international human rights documents under the United Nations framework. We must insist that the Declaration be considered in conjunction with and in full support of all of those discussions. It is up to us to assert the ‘practical effect’ of the Declaration that our Prime Minister crudely tried to play down at the time of government endorsement. It is the very practical effect of upholding the rights of this Declaration which I strongly believe has promise for Aotearoa and all the peoples in it! I have focussed on only a few examples of how the United Nations Declaration on the Rights of Indigenous Peoples is an instrument of strong advocacy for how our nation can more positively develop from here. The beauty of the Declaration is that it is there for all of us to invoke. Previously I have talked about us not confusing Māori whakapapa for Māori advocacy. The adverse is also true. I have had the privilege of getting to know many a non-indigenous person living on this land who feels the essence of what our native truth is capable of. So the Declaration can help carve out that common ground among different peoples and can also be a catalyst for Tangata Whenua to re-inhabit our own ways of thinking and being. A starting point is for more of us to engage in the discussion around indigenous rights and responsibilities at all. Calling all champions for indigenous worldview. Our future needs you now. Maori are not invoking the Treaty for the sake of invoking the Treaty. Maori are concerned that 1) if state assets pass in to private hands the government’s ability to settle current and future claims will be affected AND 2) Maori, as well as the Crown, are unsure what rights, if any, Maori have to water resources (i.e. ownership and management rights). Selling state assets while question 2 is still under consideration breaches the principle of partnership and good faith. The Waitangi Tribunal holds that the Treaty guarantee of rangatiratanga requires a high priority for Maori interests where proposed works may impact on Maori taonga. With this in mind, the Crown is, arguably, obliged to consider Maori interests above private interests. The Crown is also under a duty to actively protect and give affect to property rights, management rights, Maori self regulation, tikanga Maori and the claimants (i.e. Maori) relationship with their taonga. In light of this obligation, it would be inconsistent with the principles of the Treaty for the government to ram ahead with partial privitisation without 1) determining Maori interests 2) giving those interests a “high priority” and 3) actively protecting those interests. Merely passive but extends to active protection of Maori people in the use of their lands and waters to the fullest extent practicable. To be fair, the government is consulting Maori and credit to them for doing so. First criteria satisfied. However, article 32(2) – i.e. the article above – sets a requirement for “consent”. Of course, this isn’t binding on the government, but it will guide and inform any decision of the Court. There is legal authority to support the proposition that Maori have rights to water. Lord Cooke’s obiter statement above, where he implies that Maori have rights to water, is an example. The article above also signals that the UN believes indigenous people have rights to water too. Most significantly though, the Lands case held, roughly speaking, that if the Crown was going to transfer land that was potentially subject to a claim the Crown must take steps to ensure its ability to meet the claims is not adversely affected. John Key seems to think that no one can own water. Audrey Young's excellent overview holds that this position is correct at common law. However, Maori can, and Te Arawa is an example, own beds, banks, and potentially the airspace above. This, however, ignores the fact that Maori did not distinguish between river beds, lake banks and so on. Beds, banks and the water itself were one in the same – not constituent parts. The Courts can take this into account, and even incorporate this notion into the common law (assuming it does not offend any common law principles), however the Courts have proved reluctant to incorporate Maori customary law into the common law (the recent Takamore case is an example). As an aside, this is unfortunate and, in my opinion, hinders the development of a uniquely New Zealand legal system. Most significantly, as No Right Turn points out, Maori water rights could persist under the doctrine of aboriginal title, or customary title as it is more commonly known in New Zealand. Customary title is a lesser form of property right than fee simple title (freehold title) and only exists if it has not been extinguished. That's the crux of it there, I think. Was Maori customary title extinguished? I agree with I/S in that I think customary title has been extinguished through various pieces of legislation. I/S holds that this is a breach of article 2 of the Treaty which guarantees Maori rangatiratanga. Of course, we have to look at this through the principles of the Treaty rather than applying the strict meaning of the text so I'm not so sure this is correct. For the sake of this post, let’s accept that Maori do not have ownership rights. The Crown is sovereign and, under the Treaty principles, has the right to govern. Okay, Fair enough. Maori do, however, have management rights. The Crown has already explicitly recognised these rights under the Waikato river co-management deal. Ngati Tuwharetoa, Te Arawa, Raukawa and Tainui all have co-management arrangements with the Crown. Ngati Maniapoto will also, if they have not already, sign a similar deal. Considering this, at the very least Maori have management rights and the Crown cannot move forward with partial privatisation until those rights are clarified and a regime to recognise and implement them is put in place. Anywho, back to the main thrust of Roughan piece (you can probably tell I’m not so concerned about his column I just wanted to use it as a springboard for this discussion). I respect John Roughan, but I think he misunderstands the nature of the partnership principle. Maori and the Crown are under different, but in a few instances similar, obligations. The Crown’s obligations are similar to a fiduciary duty. This means the Crown has a legal and ethical duty as the dominant partner. Therefore, if the Crown’s duty is analogous to a fiduciary one, then the Crown must act to a stricter standard. Maori operate under a less onerous standard. Next time someone says no one owns the water, tell them they could be wrong. That may be the position at the common law, but it is not the position under Maori customary law. It is abundantly clear that under Tikanga Maori hapu exercised ownership - or rangatiratanga - over streams, rivers and lakes. Arguably, isolated hapu in isolated areas still maintai rangatiratanga – or mana - over streams, rivers and lakes. For example, lake Waikaremoana. The idea that no one owns water is a common law principle, but this does not mean the New Zealand courts will or have to affirm that principle. The position under New Zealand common law may well be that Maori do own water or, at the very least, have rights to water. The court could hold that under customary title Maori retain ownership and that ownership was not affected by the Crown’s acquisition of sovereignty. Alternatively, the courts could chose to fuse the common law with Maori customary law holding that under Tikanga Maori hapu exercised and retain ownership, therefore that is the position under New Zealand common law too. Such a notion is not, I believe, repugnant to the common law. Having said that, the courts have been reluctant to take this approach with the New Zealand common law. You could also argue that the court would extend customary title to usage rights only rather than full ownership title. But why do that when it is clear under Tikanga Maori hapu exercised full ownership rights. After all, Maori did not sign away their property rights under the Treaty. In fact, the Treaty is an agreement that affirms Maori property rights. Maori property rights are only extinguished if hapu chose to relinquish their rights, for example through sale, or if the Crown explicitly extinguishes those rights, for example the Foreshore and Seabed Act 2004. Water is, I should add, a taonga. Therefore, rights to water are protected under the Treaty. We must keep in mind that this is what Maori want. Recognition of ownership. Maori are not, contrary to what many on the right are saying, looking for money. That is the interpretation the Right put on the Maori Council’s actions because, quite frankly, money is the only concept they attach to ownership. Ownership for Maori, however, includes concepts like mana. Money is an afterthought. Why, you should ask, would the Maori Council want to monetise water? It’s such a stupid suggestion. It makes me sick seeing the right stoke the embers of racial tension. It makes me sick to see the PM get in on the game too. Commenting that the Maori Council is only bringing a claim because they want money is not only wrong, but it’s irresponsible. Commenting on the Waitangi Tribunal was a small blow of the dog-whistle, but slagging the claimants was like putting the whistle to a megaphone. With behaviour like that Hone Harawira could be right when he says the water claim could be bigger than the foreshore and seabed. If the anatagonism continues on both sides, then hikoi and marches could occur on both sides and, like always happens with Maori political issues, the public debate will become toxic. There is so much at stake with the water claim, the success of the government’s key economic plank and the extent of Maori rights just to name a few, that the debate cannot afford to descend into an us vs them battle. We should expect better. Maori Party co-leader Tariana Turia is seeking an urgent meeting with John Key over his "insulting" comments about the Waitangi Tribunal as the Prime Minister yesterday went into damage control. Speaking to the Herald last night, Mrs Turia made what may be her strongest criticism of Mr Key in their 3-year political partnership. She suggested his comments on Monday and yesterday that his Government "could choose to ignore" any tribunal recommendation to halt the sale of Mighty River Power while Maori water claims were settled, was a politically motivated sop to New Zealanders hostile to Maori attempts to assert claims. I find it difficult to take Turia serious. Remembering back, we’ll find Turia and the Maori Party employed similar rhetoric and sentiment during the section 9 controversy. That rhetoric and sentiment came, of course, to nothing. It’s a little hypocritical for Turia to label the Prime Minister’s comments as “politically motivated”. Her comments are politically motivated too. 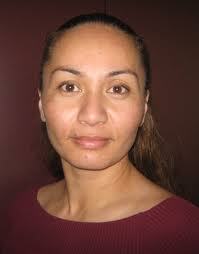 The Maori Party have to drive a wedge between themselves and the government. They cannot afford to be tainted by association or appear to be passive players. The Maori Party have to align themselves with Maori opinion and that means the party have to position themselves against the government. It all, to me at least, seems a little overblown which signals politics is at play. The PM was merely making statement of fact, and a fairly innocuous one at that. Although I accept that the comments were unhelpful. The obvious question becomes, when will the Maori Party walk? Well, it depends on the Tribunal’s findings and the government’s response. A piece or pieces of Mighty River Power will not satisfy the Maori Council. A solution along those lines will satisfy the Iwi Leaders Group, who are still lobbying behind closed doors, however the Maori Council is searching for the power to put an outright stop to asset sales. The Maori Council are not interested in shares – they’re not a commercial body. The Maori Party will not walk – unless the situation escalates. The Maori Party has too much to lose. If they walk, there is no guarantee Maori will follow them. They would, I predict, be attacked for walking four years too late. Support would more likely consolidate with the Mana Party. Why risk, it must be asked, programs like Whanau Ora too? Whanau Ora is Tariana Turia’s legacy and she will not let that slip so easily. Ultimately, however, the Maori Party believes firmly in the idea of “being at the table” and they will not sacrifice that belief for what is, at the moment, an innocuous comment from the PM. I know this some shameless solicitation, but just a reminder that I'm on Twitter. You can, and you should, follow me here. I'll disappoint, sure, but at least you get to keep up with what's going on here and in Maori politics (and sometimes what's going on with me). At the end of the day, Maori and other indigenous people need to be vigilant to ensure that we are never used as stalking horses by those seeking a resumption of commercial whaling interests. We also must never ourselves be guilty of cultural double-standards by being selective in espousing our cultural relationship with these amazing ancient mammals of the deep. For my own people, at least, we must balance our customary use of the material from stranded whales against our other relationship with them. Some iwi regard the whale as an ancestor. My own iwi holds to the tradition that we were guided here by one. Perhaps the best message that iwi can contribute is that the whale has sustained indigenous people all the world over in times past, when the animals were not massively hunted, and now we indigenous people have a duty to sustain these amazing creatures for their own sake. That’s a quote from one of my role models, Sandra Lee, in her address to the World Council of Whalers. It’s a quote that, in light of recent noises from Te Ohu Kaimoana, is still relevant today. Te Ohu Kaimonana (TOKM), the Maori fisheries body, has reaffirmed support for indigenous whaling. While I have no problem with whaling for basic sustenance, I object to whaling for profit. Reading between and beyond the lines, TOKM support for indigenous whaling appears to be an attempt to test the waters (excuse the pun). Peter Douglas, the CEO TOKM, told the Otago Daily Times that his organisation would be interested in taking meat from stranded whales unable to be saved. TOKM is not, apparently, interested in other whaling activities. Well, this contradicts previous actions. Metiria Turei points out that TOKM have hosted commercial whaling organisations and prepared and presented papers on the economics and trade of whaling. Maori were participants on European whaling ships and would often harvest stranded whales (given they were dead and the appropriate rituals were performed). However, in many areas of the country whales are considered sacred. In my own iwi, Ngati Awa, there is a legend about a whale called Tutarakauika. Many iwi have tales of whales, tohunga and so on. The tales usually serve to denote the status of whales in the particular area. With that in mind, I’d find it culturally offensive for other Maori to engage in whale hunting, hell even harvesting dead whales is offensive not only to my cultural beliefs, but my conservation values. In any event, Maori whaling in 2012 would not be done along cultural lines. It would be done, I can assure you, for profit. That is repugnant. As I said, whaling for sustenance is acceptable, but whaling for profit is not. There are other ways to make money and create jobs without having to hunt such a precious and in many cases threatened species. There is something not quite right in TOKM. The organisation’s lax and inadequate response to slave fishing in our waters left much to be desired. Why, I ask, was TOKM more concerned with their profit margins than with the abuses that were occurring on the vessels they contracted? Why, I ask, is TOKM making noises around whaling? Why, I ask, has TOKM forgotten good corporate values and sound cultural values? Why, I ask, is TOKM just driven by profit? Marcelle Beer – the ex-partner of Anthony Ratahi, who police shot dead after he took her hostage in Taranaki last year – breaks her silence on Maori Television’s NATIVE AFFAIRS programme this Monday, July 9 at 8.30pm. In an exclusive interview with NATIVE AFFAIRS reporter Semiramis Holland, Beer talks about her relationship with Ratahi leading up to the shooting and her repeated attempts to seek mental health care for him. Ratahi’s daughters and their mother also speak out about their frustration with the mental health system, and the police operation that ended 12 hours after Ratahi took Beer hostage at the Headlands Hotel in Opunake last July. Ratahi had been out of prison just 10 days before the hostage crisis, after serving time for attempting to cut Beer’s throat. His family first spoke to NATIVE AFFAIRS last year, a week after the shooting, about the lack of police support following Ratahi’s release from prison. They granted Semiramis Holland exclusive, unlimited access to the tupapaku (body) and the tangihanga (funeral) at Oeo Pa. The resulting coverage showed the human side of the tragedy – and was part of NATIVE AFFAIRS’ winning portfolio at the 2011 Aotearoa Film and Television Awards, in which they won Best Current Affairs Series. Also on NATIVE AFFAIRS this Monday is the story of the so-called Maori stowaway, Busby Noble, now a celebrity castaway in Norway; and a live panel discussion with anchor Julian Wilcox. Television news coverage of Māori stories gathered from Te Kāea (Māori TV), TV1 (both English-language and Te Karere), TV3 and Prime during a six-month period. They looked at how many Māori stories there were, and the tone of each piece. The media play a prominent role, if not the most prominent role, in encouraging and cementing negative perceptions of Maori. The stories the media tend to single out, think crime stories, do not reflect the reality for most Maori and most New Zealanders. It should be asked, however, whether or not we can blame the media for demeaning Maori. After all, that is what the consumers want – controversy and crisis. Nothing screams controversy and crisis better than a brown man and bad behaviour. The question, therefore, is whether or not there is a problem with the media or a problem with society. Demand for controversy and crisis means racism is a profitable industry. Consumers enjoy Maori controversy and crisis, the media responds and ratings increase, revenue growth occurs, bosses and shareholders are happy. Repeat formula. I am also attracted to the analysis that the media is an instrument of the capitalist class and racism in the media is an attempt to divide and rule the working class. Racism is certainly a profitable industry and the second analysis is attractive too, but I think the explanation may be a little simpler: we’re still suffering from a colonial hangover. The consequences of this hangover are severe. The media’s portrayal of Maori threatens the progress we’ve made in race relations. It encourages antagonism, both on the part of Maori and non-Maori. This is why Maori TV and shows like Marae Investigates are so important – they portray Maori in all their diversity and they challenge mainstream portrayals and perceptions. Having said that, I doubt that Maori TV, Maori radio and Marae Investigates alone are the answer to racism in the mainstream media. These initiatives are counter-weights, but not solutions by themselves. We need a cultural change in the media and in society, and until we achieve that we may keep sinking. UPDATE: I don't think we have racist journalists. However, I think there is an underlying imperative for negative stories re Maori. Every journalist I've ever met, and I've met more than a few, was utterly professional and certainly not racist.